The comments President Trump reportedly made recently, asking why the United States should accept immigrants from “shithole countries,” shed an uncomfortable spotlight on Haiti, El Salvador and the entire African continent. Several political figures and others from these nations responded swiftly — with a mixture of anger and mocking humor — to counter the sentiment, both in public statements and on social media. The tourism industry jumped on the comments as well. The lodging company Gondwana Collection Namibia released a satirical Namibian tourism video featuring the voice of a Mr. Trump impersonator. And Airbnb is reportedly spending at least $100,000 on a digital ad campaign to promote travel to these countries — a message echoed in a tweet from its chief executive. While Mr. Trump’s strong language (he denied using the word “shithole”) has been widely condemned as ignorant and racist, it’s clear by other reactions that many see these countries as undesirable destinations. “This is about poverty and crime,” tweeted Paul Joseph Watson, a far-right YouTube personality and an editor at large at InfoWars.com. “It has nothing to do with race.” The tweet was liked over 5,000 times, and many users commented in agreement. Opinions, though, differ significantly from those who are familiar with the countries. “Of all the amazing places I lived in during my 18 years as a diplomat — including highlights like Paris and New York — Haiti is the place that sticks in my mind the most, because of its beauty and the character of its people,” said Peter Kujawinski, a writer who, as an American diplomat, lived in Haiti for a total of four years since 2000. Avid readers of travel journalism may have also noticed many of these same countries on a number of prominent 2018 “best of” destination lists. In this spirit, here’s a small window into a few of the countries that Mr. Trump has brought new attention to — including travel recommendations from those who have spent time there. Mount Kilimanjaro, the tallest mountain in Africa, is on the bucket list of many adventure travelers. For the height-averse, consider a spice tour or one of the many pristine beaches in and around Zanzibar, an archipelago off the coast. “Unlike most people’s perceptions of Africa, I was able to travel securely, comfortably and very affordably, even in the less populated village of Nungwi (Zanzibar), where I learned to cook real local cuisine,” Mrs. Howe said. Safaris in Kenya get a lot of attention, and rightfully so (the word itself has roots in East Africa, meaning “journey” or “expedition” in Swahili). But its proximity to the Indian Ocean also makes water-related activities like windsurfing, sailing and snorkeling popular. Additionally, there’s the world’s largest permanent desert lake in the Kenyan Rift Valley; Lake Turkana; and Mount Kenya, Africa’s second tallest mountain after Kilimanjaro. Those hoping to glimpse some of Africa’s “Big Five” safari animals have many options, including the Masai Mara National Reserve, the Tsavo National Parks and the Borana Conservancy of the Laikipia region, which made our 52 Places to Go in 2017 list. Haiti is one of the poorest countries in the world, according to the World Bank, and the U.S. State Department continues to warn travelers of potential risks. But signs of a tourism rebound are there. In recent years, the number of new hotels — including the $45 million, 175-room Port-au-Prince Marriott Hotel that opened in February 2015 — have increased, according to the U.S. Department of Commerce. An investment of $345 million has been made in the tourism industry in recent years, according to the Department. Like Haiti, El Salvador, which Lonely Planet calls “Central America’s most underrated country,” does have a high poverty rate and the U.S. State Department says travelers should be aware of high crime rates and violence — but that hasn’t kept tourists away. The number of visitors to the country has increased each year since 2010, according to statistics from the World Bank and World Tourism Organization, including over 2 million tourists in 2016. El Salvador Tourism said in December that cruise ship arrivals increased by 100 percent in 2017 compared to 2016. “South Africa is a country that is, quite often, devastatingly misunderstood, and once you visit your mind is opened to the complexities, as well as its natural beauty,” Ms. Enright of bordersofadventure.com said. Cape Town, which was No. 1 on our 52 Places to Go in 2014 list, has long been known by tourists for its stunning beaches, Table Mountain (South Africa’s most-photographed landmark, according to Sony) and its closeness to the Stellenbosch wine region. It is currently dealing with a severe drought and has put in place water consumption limits, so those visiting soon should find out in advance what this means and how they can help. “Tourists traveling to a destination, in terms of being a responsible traveler, should always be aware of context of a destination to which they’re traveling, whether it’s cultural sensitivity or religious sensitivity. This is water sensitivity,” Lisa Scriven, the director of Levelle Perspectives, which works to implement sustainable tourism practices, told The Times in December. There is no shortage of other must-see attractions across the country, including the massive Kruger National Park in the northern provinces of Limpopo and Mpumalanga, the scenic Drakensberg Mountain Range, Durban’s Golden Mile beachfront and Johannesburg’s numerous cultural offerings. Mr. Trump was roundly mocked after referring to Namibia as “Nambia” (or did he mean Zambia or Gambia?) in a speech last September. Once you get the name straight, consider Namibia for a family-friendly African adventure or for a great solo trip. “Zambia is one of the lesser-visited gems of Africa, but that means the experience is an authentic one. You can experience the remote African wilderness free of the mass tourism of more popular destinations like Kenya and Tanzania,” Ms. Jerrard said. One remote safari destination to consider is Liuwa Plain National Park, No. 14 on our 52 Places to Go in 2018 list. 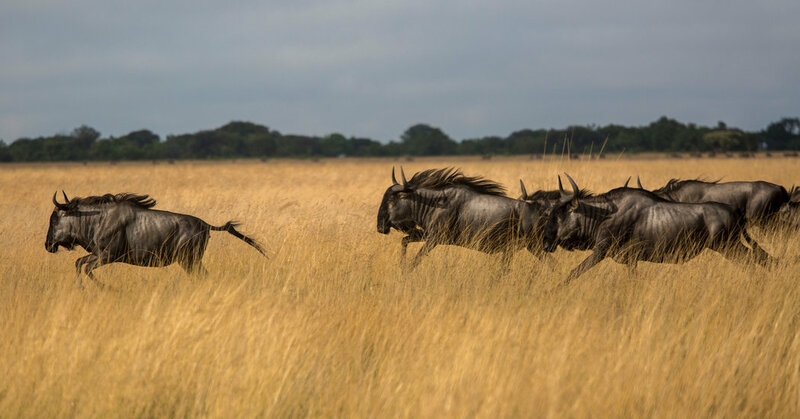 “Zebras, spotted hyenas and wildebeest are among the resurging wildlife in this 900,000-acre national park in Western Zambia, where the nonprofit organization African Parks has spurred conservation efforts since 2003,” Sarah Amandolare wrote.